Entries can take any form of written expression (short story, Haiku, limerick, etc.) but must include the words “Consul General” “Pig” and “Monkey.” The winning entries (there may need to be more than one!) will be published in the monthly edition of Consular Corner. Please submit your entry by EOB next Thursday, March 11 to consularcorner.feedback@gmail.com. 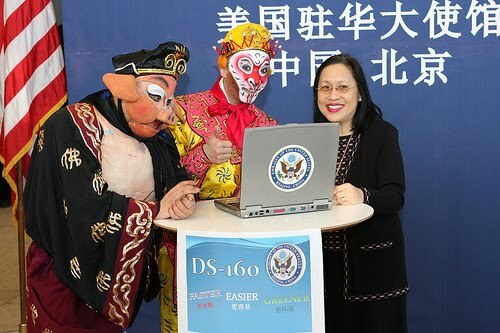 There is an article kicking around the blogosphere about hardship posts in third world countries and the corresponding allowances that Foreign Service employees get. I’m not going to go up in arms; most people see the % and have no real context except that this is an extra bump up in pay. I’d like to use this as an opportunity to explain what this means in real terms. I’m going to give you and example, then you can go ahead and make up your mind whether this is really an unreasonable expense on the part of the government. This is not a big secret. Really. You can click here and see allowances by type. You can click here and see the allowances by location. Go ahead, I’ll wait. Done? 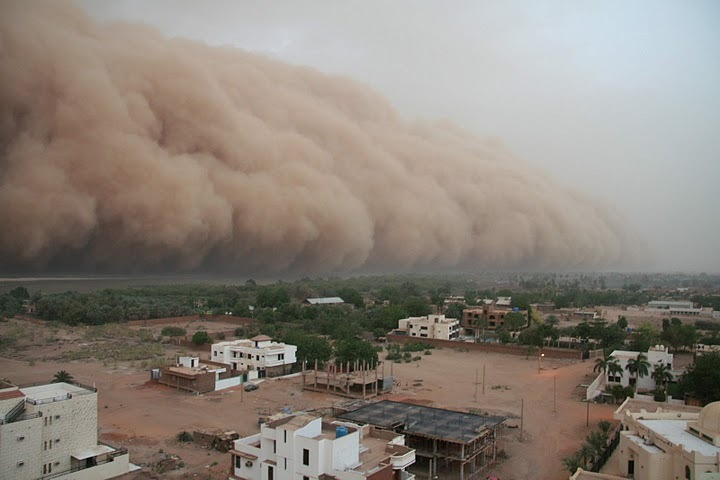 I’d like to point out that that 25% hardship differential for Khartoum is partly for willingly ingesting fine dust particles (between 0.5 and 10 micrometres) in the Sudan (please see photo below). I mean, really – where can you hide from that kind of dust that gets into everything? Everything. Short of shrink-wrapping yourself, there is no escape. They are yellowish brown with a dash of nastiness. Did I say they are really fine? According to this, in Mali, the harmattan also triggers an annual meningitis epidemic. Apparently the wind encourages the disease by damaging membranes in the throat and lungs. Joy! Why do these people take their families to these third world countries and subject them to the illnesses and political instability that is a way of life in a large swath of the globe? I supposed any well-intentioned taxpayer can go to Sudan for a year, during harmattan and personally investigate if this health hazard is really worth that 25% bump in government employees’ pay. And if it’s not clear the first trip, one should do a second trip and stay a year to see if the lungs like it better; perhaps even spend a third year, just to be sure. Don’t like to go to Sudan? There are other posts available that are not in the war zones. You might try any of the posts in China. The great historical city of Beijing is on the list. The last time I look, the USG was able to bump it down to 15% differential because the air is now better for your lungs. As to danger pay, that’s an allowance for being a moving target overseas. But it would look bad if we start calling it the “moving target” allowance, right? You may or may not know this but more ambassadors have died in the service of this country in the last 30 years than generals. You can look it up in the AFSA memorial plaque. As unarmed representatives of the United States, our diplomats and their families put themselves in harm’s way overseas simply because of who they are and where they work. It’s all right, go ahead and make up your mind …. All the way ― even to Tobago, Sam. A real “Theory X” McCoy, a “throw you in the ocean” ahoy! It was a bad, grainy, B movie horror show. Oh boo! To Ouga than spend three years in Paris with vous.